Back on my very first avatar, I had a lot of trouble adjusting shapes and I sought out a friend of a friend who helped me by having me stand on a pose stand and he told me what areas to adjust and what numbers to put in the slider area. 1. How did he do this? 2. Was he using a special software program? 3. Is there written instructions somewhere? I have searched and searched. I have read Penny's blog, Catnap Kitty's information, Strawberry's blog, the Golden Rule on SL wiki, and watched videos. I am still, even after 4 years, confused as to how to alter my shape so it is more realistic looking. Some people just have a good eye for that sort of thing. I'm decent with the body but terrible at faces, for example. Many of us just buy a shape we like and then tweak and customize it. And some of us have never made a shape adjustment we liked, so we just go with the shape as bought, using our fashion sense to make us look unique. As Gadget said, some people have a good eye for shapes. But - if your friend was telling you exactly which numbers to put where - it's more likely that he was reading from a written list that he'd copied from another shape he had. Many of us write down our shape sliders these days - especially for the body - so that we can adjust the starter shapes that come with Bento mesh heads. That way we can ensure the body is 'our usual one' before we start tweaking the face sliders for that head. If you or somebody else wants to know how to do it, it's easy: Wear the shape, find the shape in you inventory, right-click on it and select "Edit". Mesh bodies and mesh heads alter the proportions significantly, different brands and models in dfferent ways. So if you use mesh body parts, you have to adjust shape to match. Keep the hand and foot sizes low. For modern female avatar that nearly always mean set those two sliders to 0. For male and old fashioned giantess avatars you may want it a little bit higher, but not much. Arm size just long enough you can reach your crotch when standing straight. Maybe a little bit longer but not much and certainly not shorter. Adjust Leg Muscles for good looking legs, then Hip Width to get your legs together (without overlapping) and finally Saddle Bags to change the actual hip width. For realism, keep eye size below 50 but not that much. Around 35 may be a good starting point. Mesh heads increase the size of the head so if you use one, you need to adjust accordingly. All common mesh head models from the well known brands have a very prominent "duck bill" mouth. It's not possible to get a really realistic look with one of those but you can minimize the effect by reducing Lip Fullness and Lip Thickness. Your basic looks is a combination of shape and skin and different skins may require very different shape settings. (Edits from here) Lip Ratio should probably be kept below 50. A realistic ratio is usually somewhere between 35 and 40, depending on your skin and the Lip Fullness and Lip Thickness settings. Mouth Corner: From 60 and upwards you start to get a clown grin. From about 49 and downwards you start to get the dour face that was so popular in SL for a while (and may still be). Stay somewhere between for a realistic looking mouth. The sliders are not in any way balanced. Do not even think of starting with everything set at 50. If you don't believe me, read this: https://community.secondlife.com/forums/topic/405308-warning-disturbing-pictures-not-for-the-faint-hearted/ (if you dare). Average RL human height varies a lot between different nations. Wikipedia has a table here: https://en.wikipedia.org/wiki/List_of_average_human_height_worldwide. 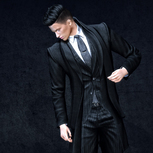 You probably want to go a bit taller in SL since everything else tend to be scaled up. The height readout you get in the standard viewer's edit window is way off. Firestorm's reading is fairly close to the avatar's actual height inworld. The sliders that affect overall height are: Height, Head Size, Neck Length and Leg Length but not Torso Length and Hip Length (those two are deducted from Leg Length). Are you using a mesh head? All common mesh head brands and models have a very prominent "duck bill" mouth. It's not possible to get a really realistic look with one of those but you can minimize the effect by reducing Lip Fullness and Lip Thicknes﻿s. I totally agree with all your points except for this one - most, if not all brands have at least one head with "non-prominent-duck-bill" mouths these days. Yes, that's why I said common models, not only common brands. Looking at it now, I probably should have phrased that differently. Fortunatley my post was still new enough to be edited. Edit. I added a few more points to the list while I was at it. Not everybody may agree with all of them. Chin, that's really excellent and detailed advice! A while back, I was given a set of prims making up a sort of semi-transparent crude mannequin that were said to produce a "realistic" shape, if you placed it over you and then adjusted the sliders so that your body and appendages fit within the mannequin's prims. I think the Hall of Avatar Customization at Caledon Oxbridge University still has a version of this, or at least a chart on the wall, based on that old DaVinci drawing of proportions. Don't try just adjusting the sliders. It's way too easy to get breasts that fly around like crazy water balloons...you could put your eye out! There are free sets of Physics settings available that will give you nice jiggles. Some mesh clothing doesn't respond to Physics. When wearing such clothes, take off your Physics layer. Otherwise, you will bounce, but your clothes won't. The result can be a unique sort of wardrobe malfunction. Excellent set of advice! Just to add to this, as you mentioned some other great examples like hands; put your arm length to 80 and then adjust from there. Far too many people roleplay T Rex's with their 50 length arms. I refused to turn myself into mesh for for a lot of years, most likely because i didnt want to literally loose my face shape. So, when i did want to give it a try, i looked up all the available heads and chose the one matching best with my current face. Then i took pictures from my bald head, shot from different angles and placed that pics behind my avatar. With the demo mesh head attached and the pics from my old face right next to it, i hade a good base to "copy" my old look. Like "Cheeks, i dont know, still to low. putting them higher by 5. noo, that was too much, back down a bit. Perfect!" Give it a try. Its worth the effort. You never know in SL. More to the point, the forum is read by others too, not just the OP. I tried my best to note which of the points were female only but most of the time it should be rather obvious anyway. Somebody else will have to cover the male specific details. I know my limitations. I'd love to get some tips about that myself, it would be cool to have a good looking male avi or two. Edit: Come to think of it, #5 on my list is a far more common problem with male than female avatars, although I'm sure we've all seen the big gap at the crotch on both. Oh, and I ahve the impression that males generally have a tendency to make their legs too short, females too long. Oh, physics - only for female avatars: You really need to go to the Advanced Parameters to get something usable, butts and bellies are not made from jelly and all the sliders have highly misleading names. Hey! Don't remind me of my newbie mistakes!!!! That's water under the bridge, besides, it was one of my other alts. I'm not responsible for their behaviour, they're responsible for mine. Back when I started in 2010, I was pretty clueless about shapes. All of those sliders were like information overload. Someone gave me a box of shapes and skins and told “play with that until you find what works for you.” I did, but I wasn’t quite there yet. After a while, that wasn’t good enough. I wanted to look as good as everybody else. I knew a girl that did “custom” shapes. So I paid her 800 L$ to do mine and she invited me over her house, hopped up on a pose stand and went to work. After about 15-20 minutes of chatting she was done. She gave me the shape I tried it on and I looked almost exactly like her. She basically took her shape, tweaked it and gave it to me. Her boyfriend who was there said something about how we looked alike. She started going off on him....on mic. They started arguing. I took my shape and left. I knew I had been ripped off a little and I knew I could do what she did. So every day, I’d spend about 20 mins tweaking one of the shapes. Eventually, I started getting a feel for it. Eventually...I started having my own look. My advice? Gradually tweak the shape your friend told you how to make. Save it, save it as custom body 1.1, 1.2...whatever. The body is easier than the head. Start there. You’ll have a natural range of numbers you like. Stick with those. Compare yourself to other Avis (they’re doing it to you), you still feel just right compared to others? That’s a good place to be. Find what works for you. Now do the same thing to your head and face. Little tweaks everyday. After a couple months....you can do a shape with your eyes closed. I still have that shape that girl made me back then on my original avatar’s inventory. It's a bit sad when the OP don't come back. Oh well. Maybe Then got help in other places. Had been nice to come back to say problem solved. Hopefully, she will. Just give her some time. Also, Cricket is totally a girl’s name. Maybe it’s a French thing, but it’s short for Christine. But his mother, Mrs. Cricket, probably wasn't, although I have to admit that is a rather murky question when it comes to Disney characters. But his mother, Mrs. Cricket, probably wasn't. Although I have to admit that is a rather murky question when it comes to Disney characters. It’s all murky, learned recently on news that a lot of them were essentially imitating blackface minstrel characters. But I digress. I once tried to shape my (system) face to look like a lion’s. Only aspect I ended up keeping was larger eyes. I actually went and made a brand new blog for this to keep the info here from getting lost in a flood of more recent threads. https://chinrey.blogspot.com/. Now it'll be lost on an obscure blog nobody's ever going to read instead. Thank you all so much. This is great. I have been sick so was not able to check back sooner. My apologies to all of you. I will be trying the suggestions and reading the blogs and other information. I highly appreciate this. This is great. Thank you very much for posting all this. Yes. It is from a book I read. I loved the character so used the name. Thank you. I like what you have written. I will be sharing it with some friends that are having problems getting the look they want too. I appreciate your knowledge and especially your willingness to share it with us.